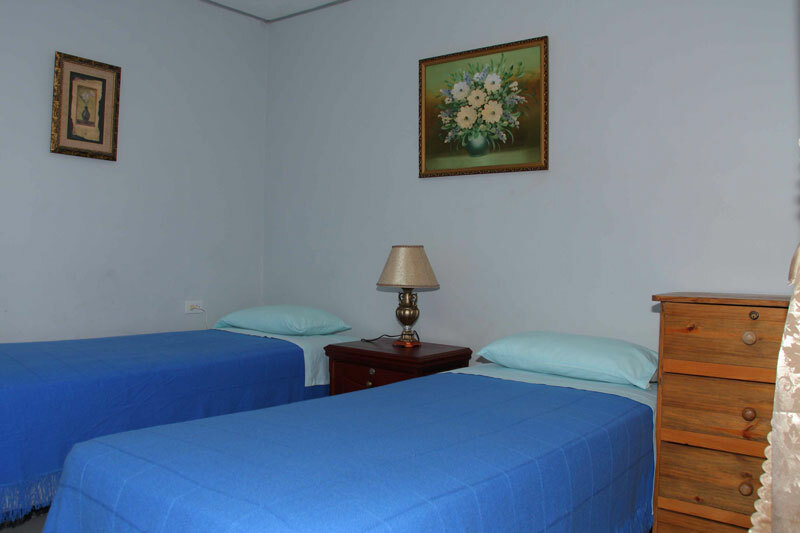 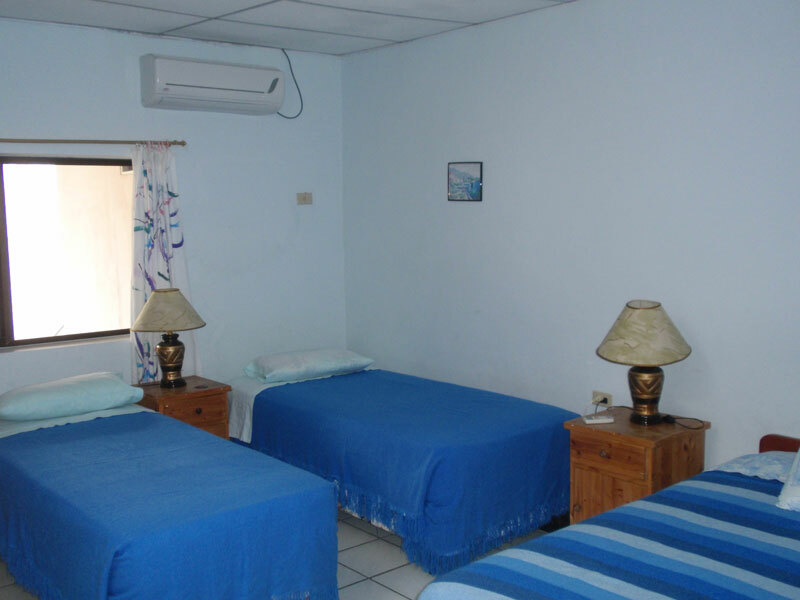 All our rooms are equipped with A/C, and have a private bathroom with hot water. 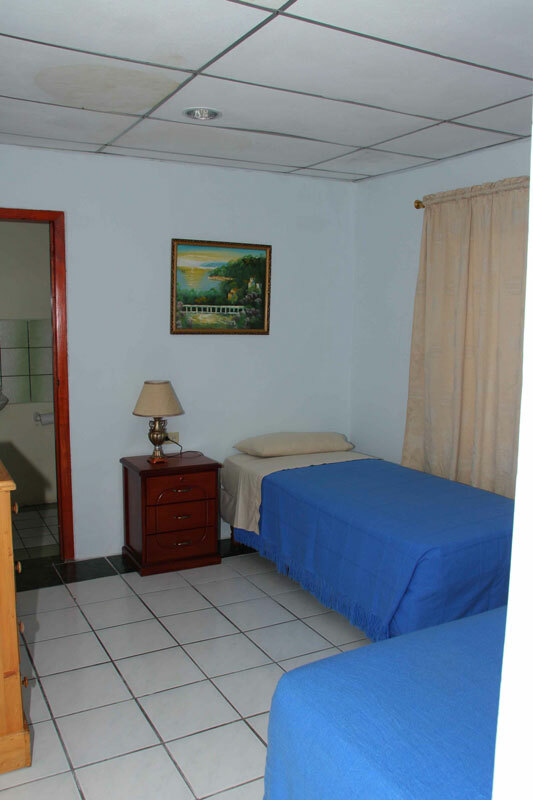 Also, in typical B&B style we offer a succulent breakfast, different each day.All have a garden and/ or porch view and access. 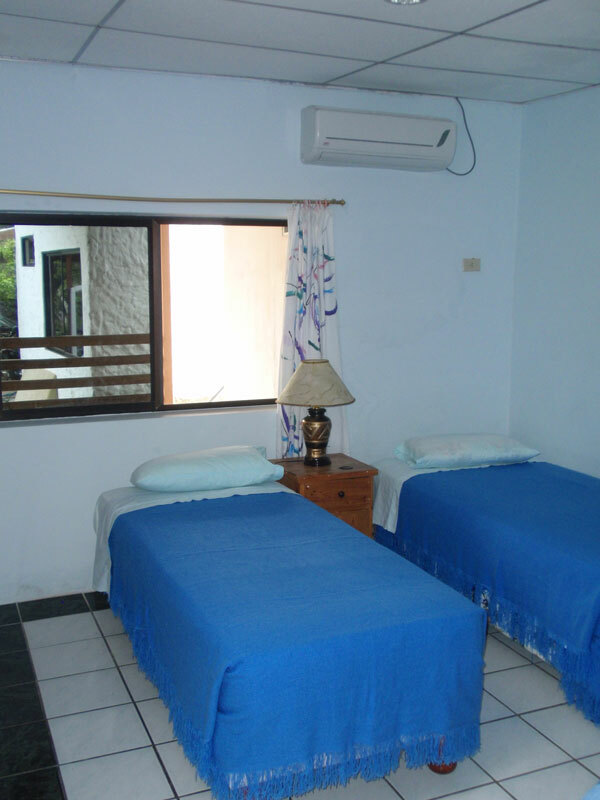 Each family or quadruple room has a separating wall dividing the room into two semi-private bedrooms. 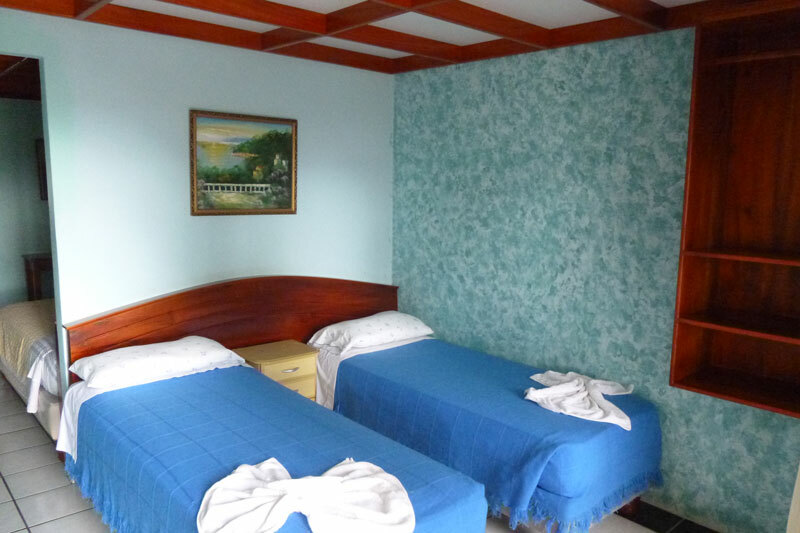 This room has one full bed and two twin beds.